Oswegatchie has become a tradition for Baldwinsville students! In 2012, Baldwinsville students set a record with 112 students for highest all time enrollment from one school. Thank you for all of your support and creating a great piece of culture for Oswegatchie and to take it home to Baldwinsville! ​If you have any specific questions, contact us at info@oswegatchie.org or all (315) 346-1222. In 2019, Miss Lauren Hopkins from Durgee Junior High will take over the role as the Baldwinsville Contact for the annual trip. Miss Hopkins has long been a part of the Oswegatchie community and worked here after being a camper. Not only is this exciting for Oswegatchie, but Baldwinsville should be excited about such a rock star teacher working in your school district. Here is a sample video of Miss Hopkins from a few years back. Support Baldwinsville Campers and purchase ducks for the AdironDUCK Race, April 28th! Baldwinsville Week will be at Oswegatchie on July 28th - August 2nd, 2019! For Oswegatchie specific questions, call us at (315) 346-1222 or email us at info@oswegatchie.org! ​Many moons ago, a Cazenovia teacher was dedicated to bringing students to a summer camp in the Adirondacks. That teacher knew that a week in an environment like summer camp does kids a world of good. He became famed for saying “You can learn more about a kid in a week of camp, that you can in a year of classes.” That teacher was the father of Ray Middle School technology teacher Maurice “Mo” Lepine! In honor of his future retirement, the Oswegatchie FFA Camp would to recognize the legacy of Mr. Lepine for going above and beyond in his service of the Baldwinsville community. Mr. Lepine is retiring in June 2018. 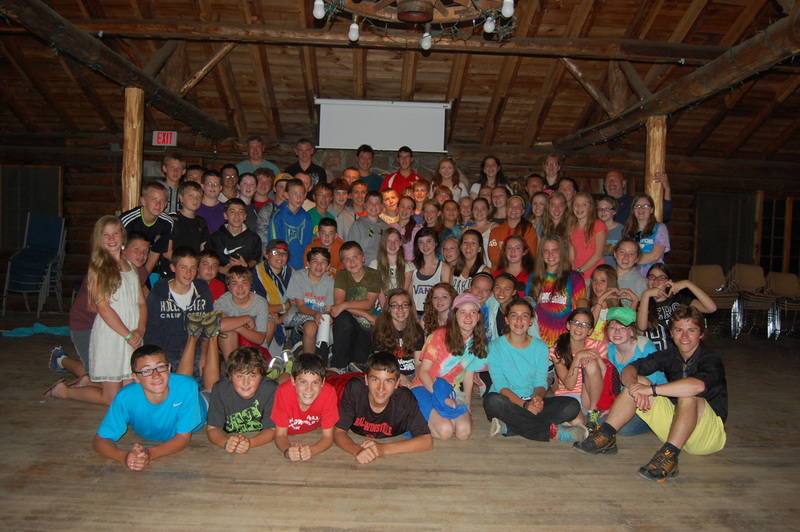 Since 2001, Mr. Lepine has brought roughly a thousand students on week long trips to camp. Throughout his career, 11 graduated students found work at camp adding up to 75 summers at camp. To top it off, 3 of these staff members met their spouse at Oswegatchie! In the future, Oswegatchie will be looking for more Baldwinsville teachers that would like to take over the Lepine Legacy. Minimal work is needed, basically being an ambassador for Oswegatchie is the job. You would help coordinate the kids on the travel days and be a friendly face while at camp. There has never been a more simple or meaningful way to enrich your own life and that of the school community. In 2019, we thank Miss Lauren Hopkins at Durgee Junior High for her help in keeping this Baldwinsville tradition alive. We would also like to thank the physical education staff at Ray Middle School who have for years given Oswegatchie a platform to talk with students.